Star Trek: Discovery shows off costumes and props at Comic-Con 2017! 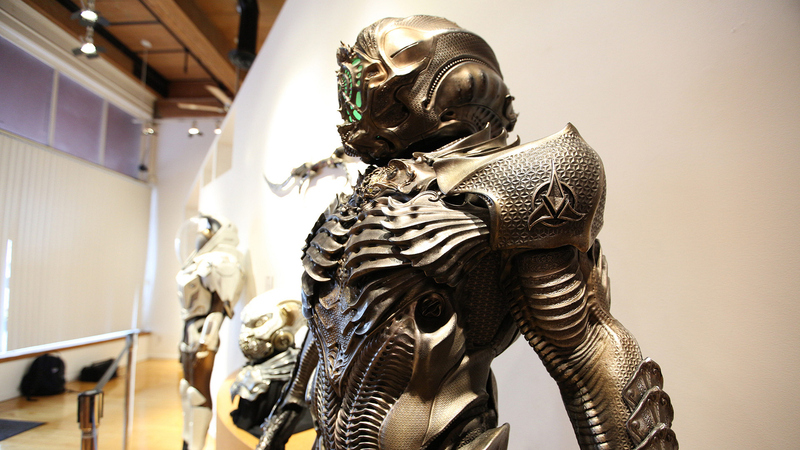 This past weekend at San Diego Comic-Con 2017, Star Trek: Discovery brought props and costumes from the CBS All Access original series and put them on display at Michael J. Wolf Fine Arts for special one-time gallery event. If you weren't able to make it to the con, we've got you covered! Take a look at some of these immaculately crafted pieces, including Klingon armor, Starfleet uniforms, phasers, bat'leths, and more! Stream the entire first season of Star Trek: Discovery, exclusively on CBS All Access.